Long overdue HUGE rave for Knitterbug Creations! I am soo happy I found Janell of Knitterbug Creations because she is an amazing knitter and the fastest knitter I know! She has awesome customer service as well. Truly a wonderful knitter! 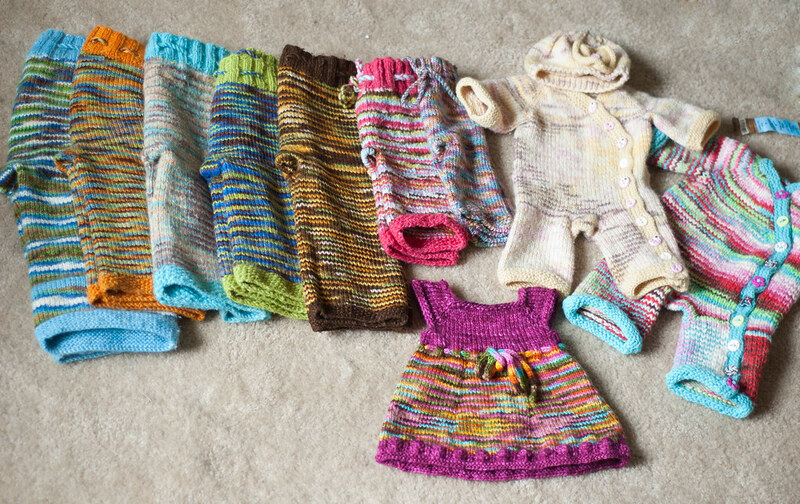 Here is everything she's knit for me! Thank you Janell! Huge Diaper/fabric Supply destash here. Check out my beautiful girly wool size nb-med here. Selling fitteds here and pockets here. For beautiful wool yarn click here. 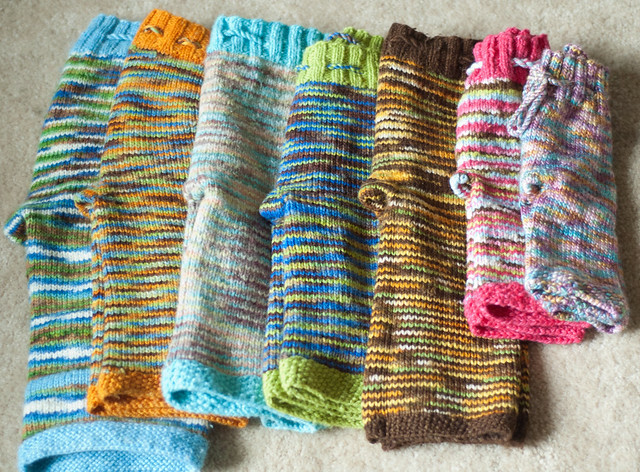 Re: Long overdue HUGE rave for Knitterbug Creations! Location: In a turn of the century farmhouse with my 2 favorite people! the heck with the closeup of the longies, I want to see a close up of the dress and the romper!! Amazingly beautiful stash of woolie goodness! AMA mom to my miracle baby...ttc for 6 yrs, gave up and by the time I learned I was pg, she was born a mere 28 days later at 2 lbs 10 oz. Truly my blessed miracle. We love her too! Those look great! Now a mom of 2! , , WOHM mama to S !!! I'm new to swagbucks, won't you be my friend??? LOL! I know huh! Well she actually already outgrew the rompers so I have them listed on FSOT, link in my siggie!